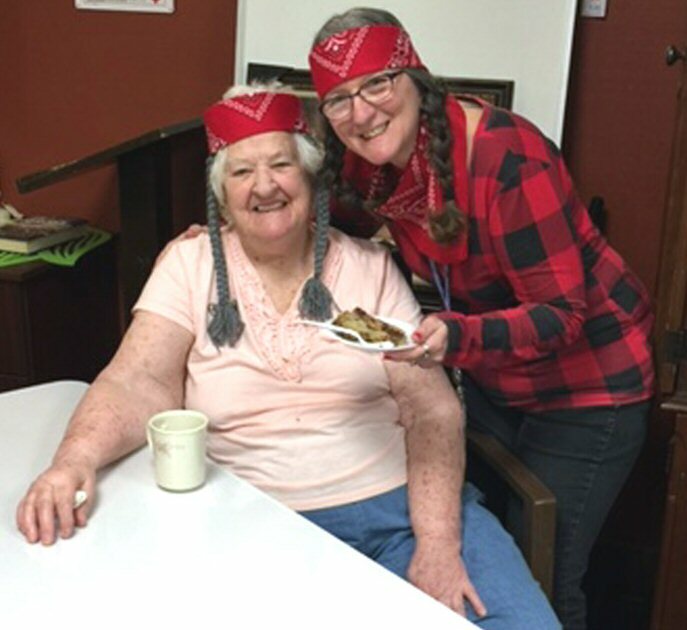 OSWEGO, NY – Residents of Morningstar Residential Care Center put on bandanas and braids as they celebrated the birthday of one of America’s most beloved entertainers; country music singer / songwriter Willie Nelson. Willie’s music filled Morningstar’s Great Room as residents enjoyed cake and refreshments. 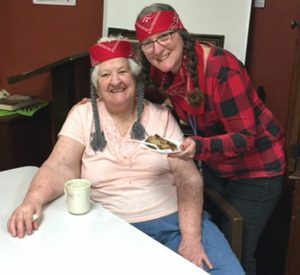 The Willie Nelson Day celebration is one of many themed activities that Morningstar hosts for its residents. Above are: Rosemary Beryle (l) and Morningstar Activities Aide Doreen Shortt (r).